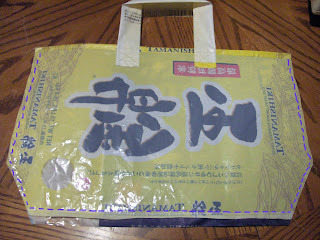 I made this handbag out of two rice bags. 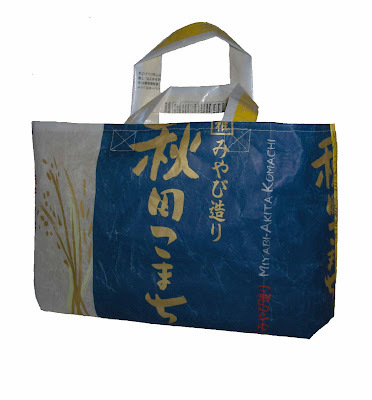 We buy the large bags since we eat a lot of rice here. My husband would beg to differ. And after I made this tote, I just might agree with him. So buy some rice or hit up your local asian restaurant for a rice bag. Lets make a tote! 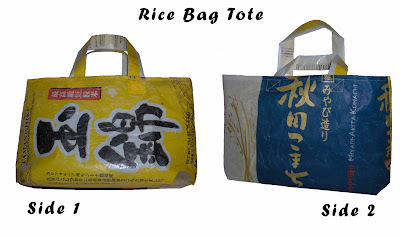 Here's one of the rice bags I used. 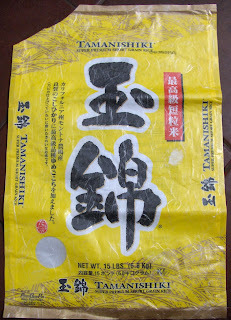 This is a plastic rice bag. The fabric ones are hard to find. Cut all around the edges of the bag to get two pieces per bag. Choose the the two best looking pieces and cut them to 17" by 11 3/4". Hem the top of both large pieces of plastic. This will be the top of your bag. 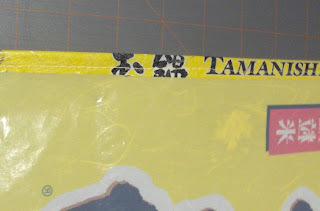 For the handles cut two strips of the rice bag to 16 1/2" by 3". 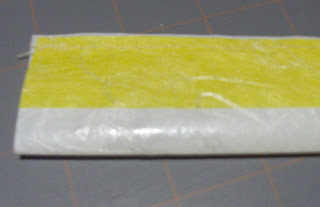 Fold in half , wrong sides together, sew down the length of the strip. Center handle to wrong side of bag and pin in place. Top stitch a box with an x to secure the handle. Refer to picture above. Do this for both handles. This is great! I actually have a cloth rice bag and the other day I was thinking "this is cute, I should make something with it". I've seen this done with Kool-Aid Jammers but not rice bags. Very cool! I love this bag. I'll be heading down to our local indian supermarket shotly to whip myself up one. Thanks for the tutorial...and thanks for dropping by my blog too. love this bag! 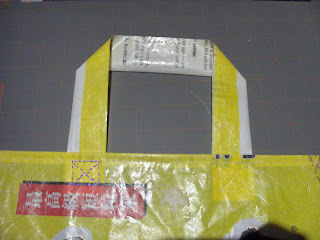 i'm featuring it tomorrow at craftandfound.com at 4pm cst. Nice Idea and looks very simple which is another great plus! I like! Great idea! Love it! Really enjoy your blog and your other projects. Thanks. What a trendy design! I want to make one!